If you’re planning to read Past The Shallows by Favel Parrett I would recommend that you do not do so in the bath. I made this mistake last night. I got in, planning to make a start on the book, but I couldn’t stop reading and when I got out of the nearly cold bath two hours later the book was finished. Needless to say, the book is a gripping read. The bleakly compelling narrative follows Harry and Miles, brothers who struggle to protect one another in a difficult life which has seen them lose their mother, uncle and grandfather, leaving them at the mercy of their unstable and embittered father. As their older brother Joe prepares to leave Tasmania and Miles is forced to leave school to work gathering abalone with his father, the boys seek small comforts where they can, until a catastrophe occurs. This is not a happy book, but Favel Parrett’s understated approach to the difficulties of the brothers’ lives is impressive and moving. Harry’s vulnerability is chilling, and Miles’ desperate attempts to protect his little brother from the cruel world in which they live are heart-breaking. The prose is pared back and functional, and I think it is this restraint which makes the novel feel so worryingly real, so horribly credible. A truly impressive debut, Parrett’s writing is powerful and unflinching. Don’t read it in the bath, but do read it. This entry was posted in Book Reviews and tagged bleak, books, child abuse, novel, Tasmania on September 28, 2012 by Siobhan. I’ve always been a fan of classical mythology, though this tends to manifest itself through adaptations because having tried reading translations of The Iliad and They Odyssey, I found them a little dull… I would never cut it as a classicist. I was quick to buy The Song of Achilles by Madeline Miller, but delayed reading it because a friend whose opinion I trust made the book sound like Fifty Shades of Troy, all action (if you know what I mean) and no plot. This time they were off the mark. The Song of Achilles is primarily a love story, yes, but I thought that any sexual allusions were actually pretty tame and completely sympathetic to the story. Miller’s prose is clear and controlled, and the use of Patroclus’ narrative is a masterstroke in characterisation, allowing the reader to grow close to the apparently unremarkable Patroclus who earns the love of a flawed demigod and the wrath of his ambitious mother. As our affection for Patroclus grows, we see each character through his eyes, and share his discomfort as he witnesses the man he loves distorted by his quest for heroism and recognition. As the novel draws towards its inevitable conclusion, the reader is pulled along, unable to resist, wondering which will triumph? Destiny, glory, love? It comes as no surprise to me that this novel won the Orange Prize for Fiction, it is a stunning debut novel and, for me, a far more accomplished adaptation that the likes of Margaret Atwood’s The Penelopiad. This entry was posted in Book Reviews and tagged books, love, myth, Romance on September 25, 2012 by Siobhan. In 1576 a ship sails from Constantinople to Venice carrying both life and death in its hold. Taking real historic details as a starting point, Marina Fiorato has created an enjoyable story which, though clearly very well researched and brimming with historic detail, feels natural and engaging. Those with a passing interest in history will be pleased with the detailed reconstruction of plague struck Venice, with its saints and quacks, while those reading for adventure and romance will not be disappointed. The characterisation is decent, there being enough complexity to prevent Feyra becoming the stock plucky yet virtuous maiden, and enough warmth to prevent Annibale becoming a Renaissance Mr Darcy in a bird mask. The relationships which develop between characters are for the main part credible, if a little oversimplified, though the author uses a subjective narrative to understate or overstate the bonds between characters to great effect at times. The novel relates some very dramatic moment- births, deaths and destruction- without seeping into hysterical melodrama. And though there were occasions when the novel felt a little awkwardly paced, or when characters felt a little more like plot devices than characters (Columbina Cason) I was impressed with the way the author managed the pace and scope of the novel. Looking at the cover with its beautiful woman in a low-cut corseted dress against the backdrop of Venice, you could be forgiven for thinking that this would be something of a bodice ripper and dismiss it as a result. Don’t. The cover is beautiful in its own way but really doesn’t do the story justice. On the whole this is an enjoyable read, which is suitable for young adults but which has enough flair to impress an adult reader as well. If you’ve read this and liked this try Geraldine Brooks’ Year of Wonders or Salman Rushdie’s The Enchantress of Florence. This entry was posted in Book Reviews and tagged books, Bubonic Plague, fiction, History, Venice on September 24, 2012 by Siobhan. Sitting and reading for long periods can leave you a bit chilly in the winter, so since my last operation I’ve been making myself a crochet blanket using a pattern from a blog I found via craftgawker. It’s the first big crochet project I’ve made and, though it’s not perfect, it is cheerful and snuggly warm and perfect for cosying down in an arm-chair with a good book when it gets cold. Winter is coming, as the Stark family are fond of saying, but I am prepared. This entry was posted in Craft and tagged books, craft, home, lifestyle on September 16, 2012 by Siobhan. When a meddling Philosopher helps his neighbour steal a crock of gold belonging to the leprechauns of Gort na Gloca Mora, they are not happy. But as he is married to a powerful member of the Shee, and the crock is buried under a thorn bush and therefore protected by all the fairies in Ireland, they have to be very careful as to how they get their revenge but suffice it to say it involves long journeys, strange meetings, ancient gods, young maidens, policemen and strangers aplenty. 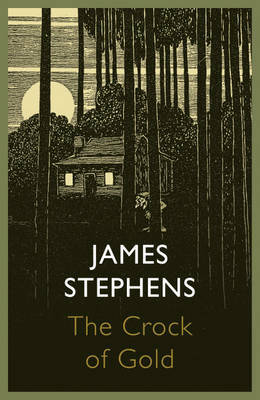 Recently reissued by John Murray publishers as part of their newly issued Heritage Collection which revisits classics from their backlist, The Crock of Gold was written in 1912 by James Stephens, a contemporary of James Joyce. For me, the prose had some of the density of Joyce, but was much livelier, combining folklore, philosophy and a good dash of humour to create a good old Irish yarn. I always love a novel which makes good use of folkloric motifs and storytelling conventions, but that aside, I loved James Stephens’ wry comments on the battle of the sexes and his characterisation generally. The dynamic between the Philosopher and his wife is especially interesting. For all the novel talks a lot of nonsense, it talks a lot of sense. A great read if you like traditional storytelling. This entry was posted in Book Reviews and tagged books, folklore, ireland, Irish folklore on September 10, 2012 by Siobhan. A colleague in work had to go to Paris for a conference recently and was asking for suggestions of things to do in her free time. I mentioned that she should visit Shakespeare & Co. which is across the river from Notre Dame Cathedral. I visited Paris a few times on school trips, and remember seeing the books lined up on tables outside the shop. But being on a school trip, we were quickly bustled to the Cathedral and I never had a chance to go inside. I’ve been planning to save up for a weekend trip to Paris, to visit the store and see the sights, for a long time now. From wikipedia- sadly I can’t properly reference the Flickr account it came from as the wiki link is dead. Let me know if this is your image! 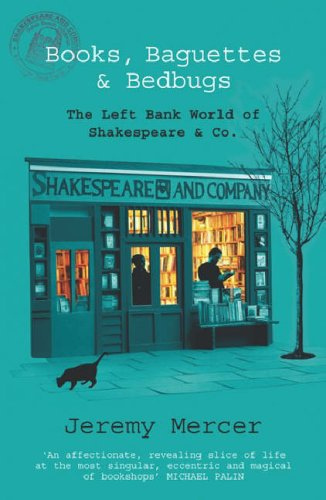 This entry was posted in Book Reviews and tagged books, George Whitman, money, Paris, Shakespeare and Company, travel on September 10, 2012 by Siobhan. I made some Rocky Road/Fridge Cake for work this week (publishing involves a lot of cake) and since people seemed to like it quite a lot I thought I’d share the recipe. It’s really easy to make, and you can keep it in the fridge for a few days so it’s great If you need to make something in advance. To be honest, it’s pretty much just fat and sugar, so it would probably last a really long time if you could stop yourself eating it. Bash up the rich tea biscuits in a clear sandwich bag until you fairly equal parts of biscuit dust (crumbs, I suppose…) and small pieces of biscuit. I use a rolling-pin, which I find quite therapeutic, but if you want to be super bookish then I guess you could smash up the rich tea biscuits with a hard back book. When you have them as you like them, pop them in a big mixing bowl to wait for the wet ingredients. Melt the butter into a pan over a very low heat, and when it is all liquid (or near enough) add in the golden syrup and stir over the heat until they are melted together. When they are, take the buttery goodness off the heat and add in the chocolate. I like to have it ready broken into squares. I don’t add the chocolate when the pan is on the heat as it can burn and then it will never melt. Tip half the chocolate mixture into the biscuits and mix until they are all covered. Then add in the marshmallows and mix some more. Squash the mixture firmly into a baking tin so that it’s quite densely packed and when you’re happy with it, pour the other half of the chocolate mix across the top and spread out. Pop in the fridge until cold, then enjoy the chocolatey biscuit goodness with a good book and a nice cup of tea. 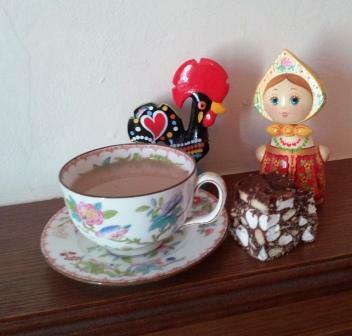 This entry was posted in Food and tagged biscuit, books, cake, Chocolate, dessert, food, mini marshmallows, rich tea, tea, tea biscuits on September 7, 2012 by Siobhan. It’s taken me nearly a year to sign up to our local library after moving house, but I’ve finally gotten around to it. 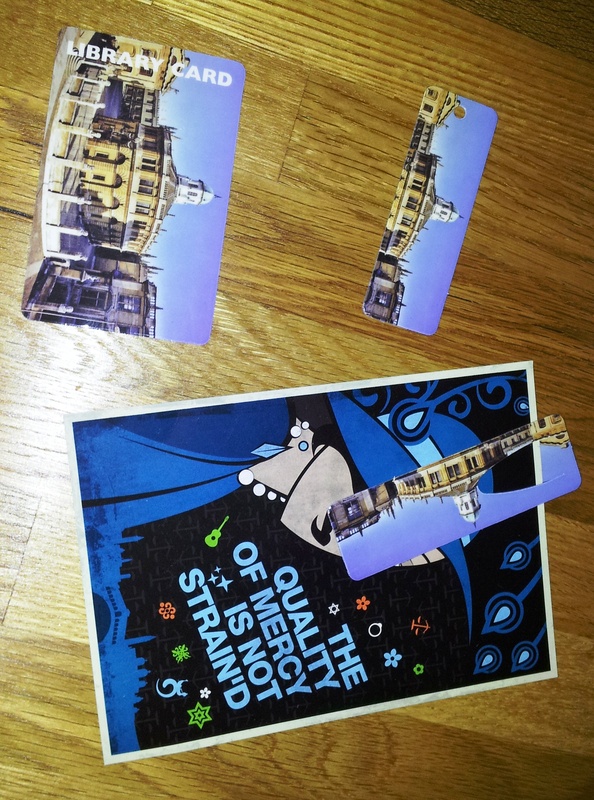 Check out my snazzy new library card, key ring card and book mark. Thank you Abingdon Library! This entry was posted in Direct Speech and tagged books, library, Oxfordshire on September 2, 2012 by Siobhan. So apparently biscuits and English breakfast tea, combined with a sedentary day’s reading, though delicious and enjoyable, don’t make for the healthiest lifestyle. Drat. I’ve been feeling a little lacklustre, so decided to diversify my snack range. Instead of my usual book, biscuit and tea, I’ve been trying a range of caffeine free teas and vitamin filled nibbles. 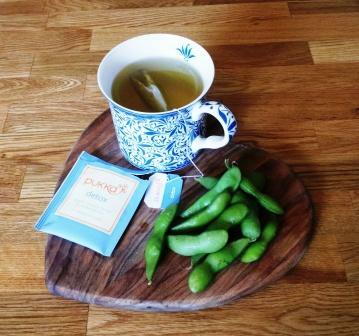 My current favourite is Pukka’s Detox Tea with aniseed, cardamom, fennel and liquorice root. Unlike most herbal teas which smell great but taste like pond water, the tea has a really nice flavour- a subtle sweetness. Combined with the slightly salty taste of the edamame beans, you’ve got a full snack spectrum there without any pesky crumbs in your book. Result! This entry was posted in Food and tagged biscuits, books, food, tea on September 1, 2012 by Siobhan. I loved this post from Ellen Peterson’s blog. How cute is this little free library? If I wasn’t lucky enough to live in central Oxfordshire, where our library services are still pretty intact, I’d be so tempted to make my own little library. This entry was posted in Uncategorized on September 1, 2012 by Siobhan.